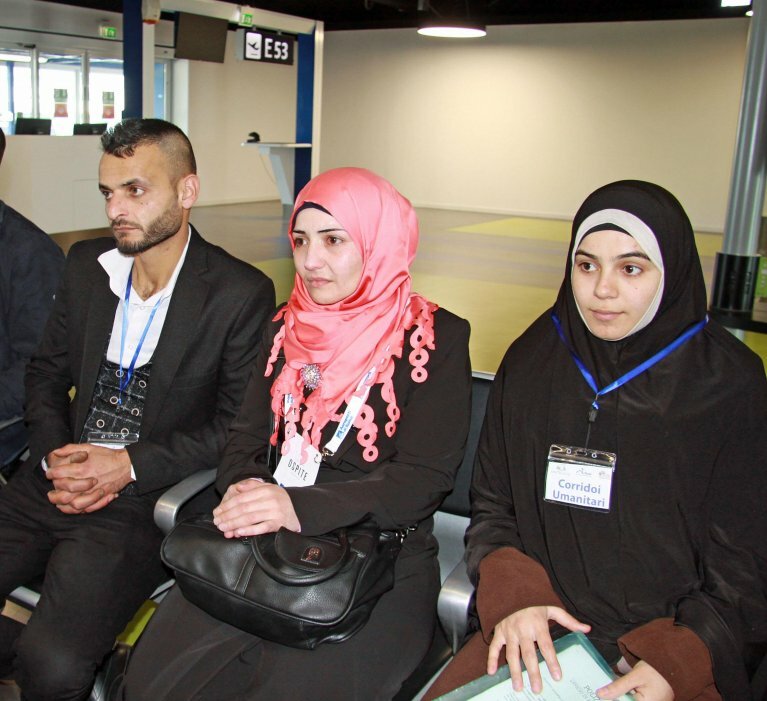 Fifty-four Syrian refugees, including many children, arrived safely at Rome's Fiumicino airport on a commercial flight from Beirut on March 28. They came to Italy through humanitarian corridors sponsored by the Federation of Evangelical Churches in Italy, the Sant'Egidio Community, and the Waldensian Round Table, in accord with the Italian Interior Ministry and Foreign Ministry. Identification procedures and the initial phases of reception began shortly after the refugees' Alitalia flight arrived at 6:50 a.m. on Thursday. Over 2,000 people have already arrived in Italy through humanitarian corridors, of whom about 1,500 came from Lebanon. Like the others, the refugees who arrived Thursday will be hosted by associations, parishes, and communities in various regions in Italy. They will immediately begin an integration programme that includes Italian language courses for the adults and public school for the children. The adults will also receive job placement once they get refugee status. Sant'Egidio Community President Marco Impagliazzo said the humanitarian corridor project must be continued. "The war in Syria, unfortunately, isn't over, and the situation in Lebanon is truly dramatic," he said. "Thousands and thousands of people still don't see a future for their lives. In Italy, those who have already arrived have found a future with this reception and integration programme. We need migrants, and they need safety and a future. It's truly a great response that our country and those who are suffering need. There is an Italy that welcomes. Italians understand that this is a serious project, one that has foundations and a future," he said. Paolo Naso, coordinator of Mediterranean Hope, the migrant and refugee programme with the Federation of Italian Evangelical Churches (FCEI), told ANSA that a European humanitarian corridor is needed to ensure an orderly and safe way to flee Libya as well. "In Libya as in Lebanon, we must avoid people being kidnapped and imprisoned in camps that, rather than welcoming refugees, concentrate them and hand them over to unscrupulous gangs and traffickers," Naso said. "Humanitarian corridors are a concrete, safe, and legal way to ensure humanitarian protection and asylum to vulnerable people who are fleeing war and persecution," he said. "With the experience we've gained, we're calling on European governments to create a European humanitarian corridor to ensure a safe and orderly escape route from Libya as well, by issuing 50,000 visas," Naso explained.